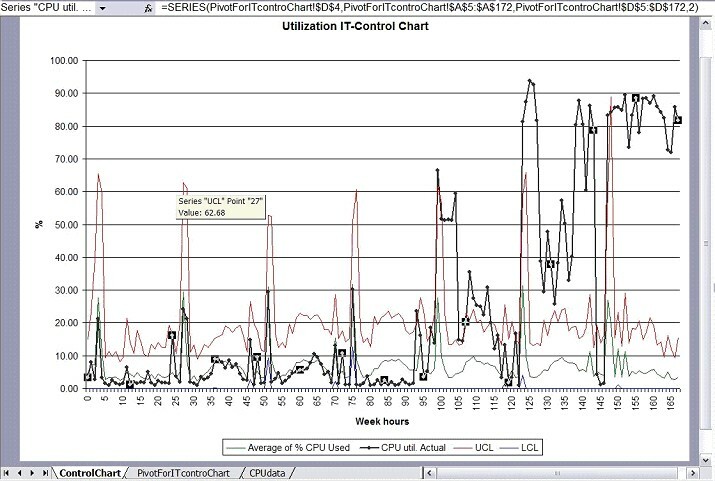 System Management by Exception: How To Build IT-Control Chart - Use the Excel Pivot Table! But in this case it is strictly manual process (unless someone wants to use VBA to automate that within MS Excel….) and requires the same basically approach as Data Cube/CrossTable usage in BIRT and in MS Excel it is called “PivotTable and PivotChart report“ listed under “data” menu item. 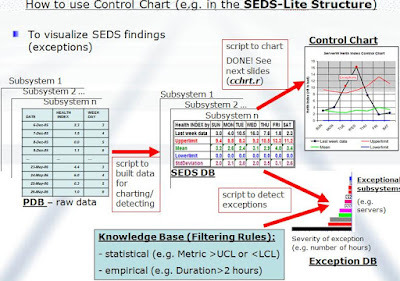 Below are a few screenshots that could help someone who is a bit familiar with EXCEL to understand how to build IT-Control Charts in order to analyze performance data in SEDS terms. 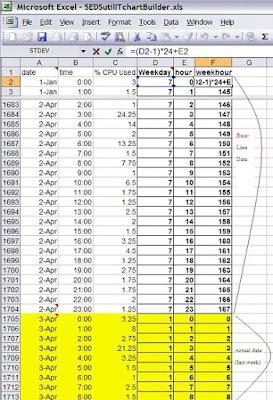 Then three other columns were added right next to the pivot table to be able to compare Actual vs. Base-line and calculate Control limits (UCL and LCL). 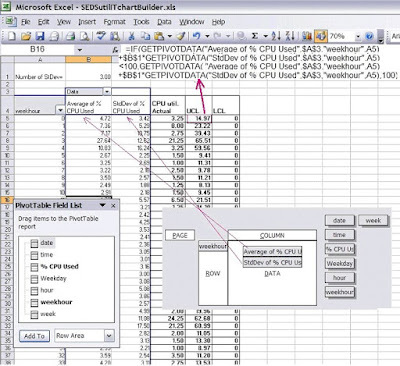 To do that, the “CPU util. 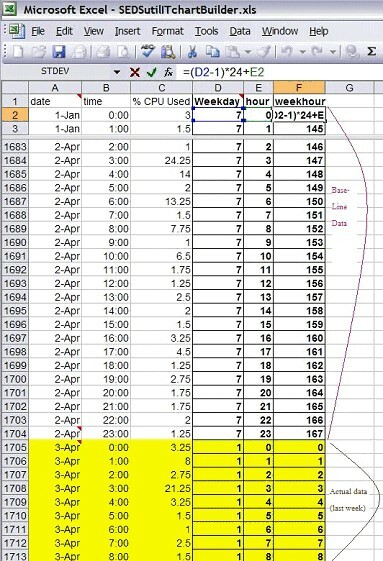 Actual” data were referenced from the raw /CPUdata/ sheet where the last week data considered as Actual. 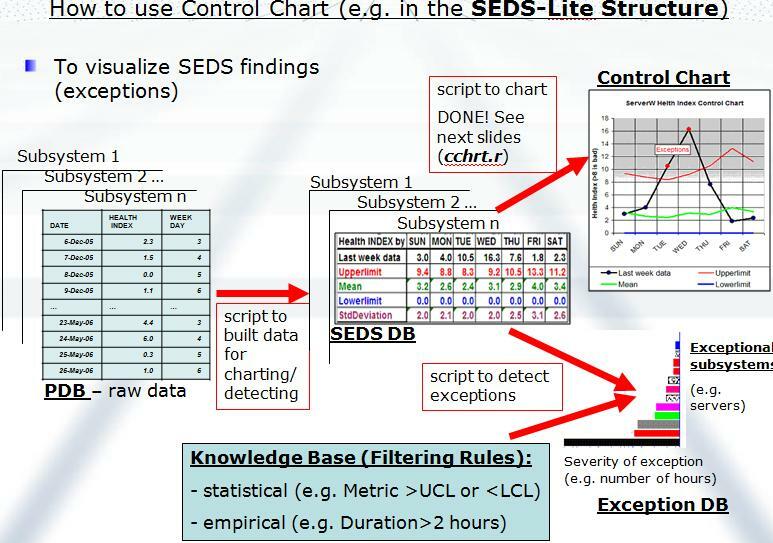 Control limits calculation was done by usual spreadsheet formula and the picture shows that formula for UCL. 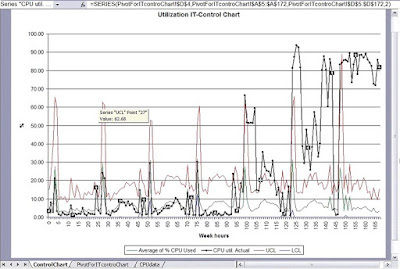 Do you see where exceptions (anomalies) happened there?